Gareth Bate, Bloor Street in the Rain, 2005. 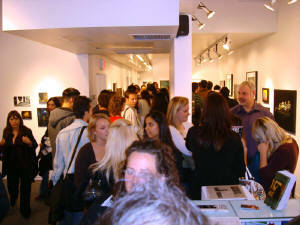 Opening night during Nuit Blanche. Gareth Bate in Nuit Blanche exhibition at Bau-Xi Gallery, Toronto.